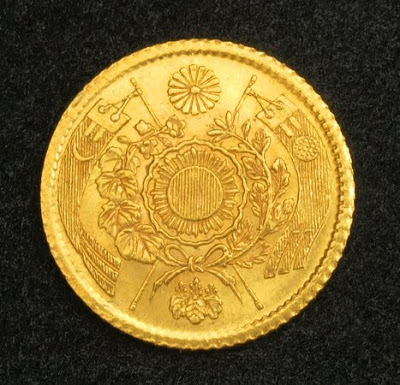 The Japanese Yen has an interesting history. For a start it's a typing error in English having been dubbed "yen" rather than the local pronunciation of "en" in an early English / Japanese dictionary. Introduced in 1871 in the early days of the Meiji Restoration, it replaced the Tokugawa monetary system and was defined as the equivalent of the commonly used Spanish Dollar, the same dollar adopted by America. So in the beginning it was one yen = one dollar. At 125 today, how times have changed. 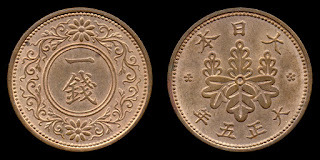 There were originally 100 sen to the yen and 10 rin to the sen but by 1953, given hyperinflation, a rather large war, and the impact of the gold standard, the sen and the rin were abolished and the yen, no longer 1:1, was fixed at 360 to the dollar. That is except for the Japanese Military Yen, used across conflict zones from 1904 until 1945. 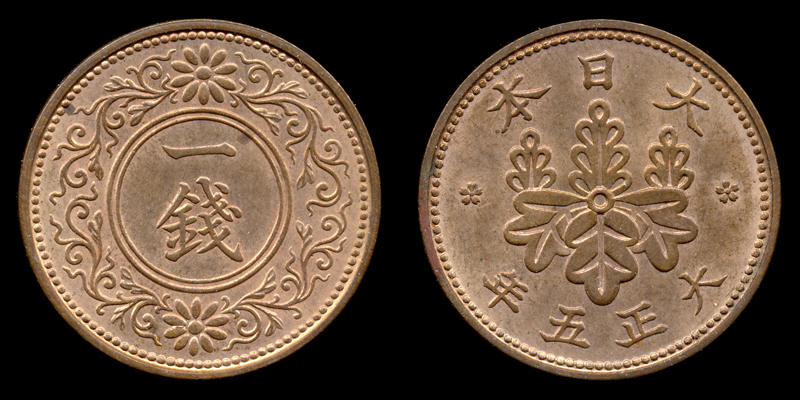 It was defined as worthless on 6 September, 1945 and economies such as Hong Kong where it was the only legal tender lost everything. World trade and the Plaza Accords saw the end of the undervalued yen and by 1995 it had reached 80 to the dollar. The effective boost to FX rates saw the land value of the Emperor's Palace being reputedly equal to the entire real estate of California. 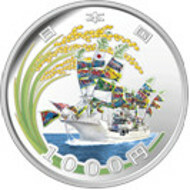 Today the commonly used 500 yen remains one of the world's highest denomination coins but just occasionally there are both 1000 yen and 10,000 yen commemorative issues. 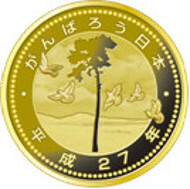 And this year saw the introduction of the catchily titled "Great East Japan Earthquake Reconstruction Project Coin". And the tree, well that's the story of a very sad miracle.